Film historian Ian Freer calls Wyler a "bona fide perfectionist", whose penchant for retakes and an attempt to hone every last nuance, "became the stuff of legend. ":57 His ability to direct a string of classic literary adaptations into huge box-office and critical successes made him one of "Hollywood's most bankable moviemakers" during the 1930s and 1940s and into the 60's. Through his talent for staging, editing, and camera movement, he turned dynamic theatrical spaces into cinematic ones. He helped propel a number of actors to stardom, finding and directing Audrey Hepburn in her Hollywood debut film, Roman Holiday (1953), and directing Barbra Streisand in her debut film, Funny Girl (1968). Both of these performances won Academy Awards. He directed Olivia de Havilland to her second Oscar in The Heiress (1949) and Laurence Olivier in Wuthering Heights (1939), for his first Oscar nomination. Olivier credited Wyler with teaching him how to act for the screen. And Bette Davis, who received three Oscar nominations under his direction and won her second Oscar in Jezebel (1938), said Wyler made her a "far, far better actress" than she had ever been. Other popular Wyler films include: Hell's Heroes (1929), Dodsworth (1936), The Westerner (1940), The Letter (1940), Friendly Persuasion (1956), The Big Country (1958), The Children's Hour (1961) and How to Steal a Million (1966). Wyler was supposed to take over the family haberdashery business in Mulhouse, France. After World War I, he spent a dismal year working in Paris at 100.000 Chemises selling shirts and ties. He was so poor that he often spent his time wandering around the Pigalle district. After realizing that Willy was not interested in the haberdashery business, his mother, Melanie, contacted her distant cousin, Carl Laemmle who owned Universal Studios, about opportunities for him. Around 1923, Wyler arrived in Los Angeles and began work on the Universal Studios lot in the swing gang, cleaning the stages and moving the sets. His break came when he was hired as a second assistant editor. But his work ethic was uneven, and he would often sneak off and play billiards in a pool hall across the street from the studio, or organize card games during working hours. After some ups and downs (including getting fired), Wyler focused on becoming a director and put all his effort into it. He started as a third assistant director and by 1925 he became the youngest director on the Universal lot directing the westerns that Universal was famed for turning out. Wyler was so focused on his work that he would dream about "different ways (for an actor) to get on a horse". In several of the one-reelers, he would join the posse in the inevitable chase of the 'bad man'. He directed his first non-Western, the lost Anybody Here Seen Kelly?, in 1928. This was followed by his first part-talkie films, The Shakedown and The Love Trap. He proved himself an able craftsman. In 1928 he became a naturalized United States citizen. :73 His first all-talking film, and Universal's first sound production to be filmed entirely on location, was Hell's Heroes, filmed in the Mojave Desert in 1929. In the early 1930s Wyler directed a wide variety of films at Universal, ranging from high profile dramas such as The Storm, A House Divided, and Counsellor at Law, to comedies like Her First Mate and The Good Fairy. He became well known for his insistence on multiple retakes, resulting in often award-winning and critically acclaimed performances from his actors. After leaving Universal he began a long collaboration with Samuel Goldwyn for whom he directed such classics as Dodsworth (1936), These Three (1936), Dead End (1937), Wuthering Heights (1939), The Westerner (1940), The Little Foxes (1941) and The Best Years of Our Lives (1946). 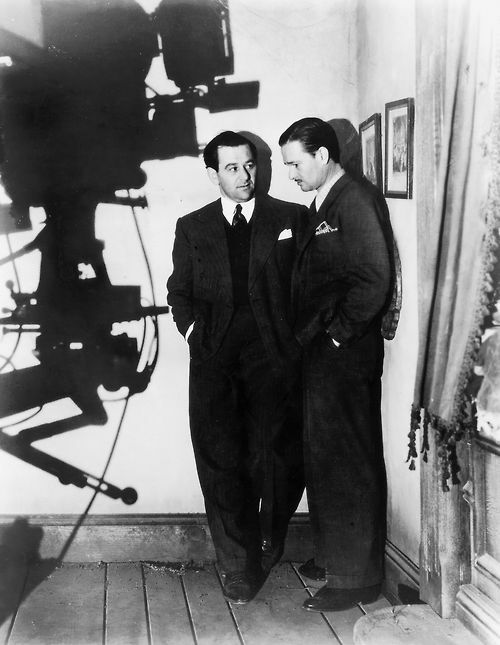 It was during this time that Wyler began his famous collaboration with cinematographer Gregg Toland. Toland and Wyler virtually created the "deep focus" style of filmmaking wherein multiple layers of action or characters could be seen in one scene, most famous being the bar scene in The Best Years of Our Lives. Toland went on to use the deep focus he mastered with Wyler when he shot Orson Welles' Citizen Kane. It was all Wyler. I had known all the horrors of no direction and bad direction. I now knew what a great director was and what he could mean to an actress. I will always be grateful to him for his toughness and his genius. Bette Davis received three Oscar nominations for her screen work under Wyler, and won her second Oscar for her performance in Wyler's 1938 film Jezebel. She told Merv Griffin in 1972 that Wyler trained her with that film to be a "far, far better actress" than she had been. She recalled a scene that was only a bare paragraph in the script, but "without a word of dialog, Willy created a scene of power and tension. This was moviemaking on the highest plane," she said. "A scene of such suspense that I never have not marveled at the direction of it. ":162 During her acceptance speech when she received the AFI Life Achievement Award in 1977, she thanked him. Five years later, in 1944, while visiting London, Wyler met with Olivier and his actress wife, Vivien Leigh. She invited him to see her performance in The Doctor's Dilemma, and Olivier asked him to direct him in his planned film, Henry V. But Wyler said he was "not a Shakespearian" and turned down the offer. If any film actor is having trouble with his career, can't master the medium and, anyway, wonders whether it's worth it, let him pray to meet a man like William Wyler. Willy was certainly my best friend in the industry.... We seemed instantly to have many things in common.... Willy liked the things that I liked. We'd go down to Mexico. We'd go up in the mountains. And we'd gamble. He was a wonderful companion....He was equally capable of playing Beethoven on his violin, speeding around town on his motorcycle, or schussing down steep virgin snow trails. In 1941, Wyler directed Mrs. Miniver, based on the 1940 novel; it was the story of a middle-class English family adjusting to the war in Europe and the bombing blitz in London. It starred Greer Garson and Walter Pidgeon. Pidgeon originally had doubts about taking on the role, until fellow actor Paul Lukas told him, "You will find working with Wyler to be the most delightful experience you ever had, and that's the way it turned out." Pidgeon recalls: "One thing that would have been a terrific regret in my life is if I had succeeded in getting out of doing Mrs. Miniver":335 He received his first Oscar nomination for his role, while his co-star, Greer Garson, won her first and only Academy Award for her performance. U.S. ambassador to the United Kingdom, Joseph Kennedy, told the studios to stop making pro-British and anti-German films. Kennedy felt that British defeat was imminent. But MGM producer Eddie Mannix disagreed, saying that "someone should salute England. And even if we lose $100,000, that'll be okay. ":344 Mrs. Miniver went on to win six Academy Awards, becoming the top box office hit of 1942. It was Wyler's first Academy Award for Best Director. Dear Mad Willy. I saw Mrs. Miniver last night. It is absolutely wonderful. You repeatedly amaze me with the demonstrations of your talent and I ask you to believe that it is with genuine pleasure that I salute this latest and greatest example of your work. President Roosevelt and British Prime Minister Winston Churchill both loved the film, said historian Emily Yellin, and Roosevelt wanted prints rushed to theaters nationwide. The Voice of America radio network broadcast the minister's speech from the film, magazines reprinted it, and it was copied onto leaflets and dropped over German-occupied countries. Churchill sent MGM head Louis B. Mayer a telegram claiming that "Mrs. Miniver is propaganda worth 100 battleships." Bosley Crowther wrote in his New York Times review that Mrs. Miniver was the finest film yet made about the war, "and a most exalting tribute to the British." Between 1942 and 1945 Wyler volunteered to serve as a major in the United States Army Air Forces and directed a pair of documentaries: The Memphis Belle: A Story of a Flying Fortress (1944), about a Boeing B-17 and its U.S. Army Air Force crew; and Thunderbolt! (1947), highlighting a P-47 fighter-bomber squadron in the Mediterranean. Wyler filmed The Memphis Belle at great personal risk, flying over enemy territory on actual bombing missions in 1943; on one flight, Wyler lost consciousness from lack of oxygen. Wyler's associate, cinematographer Harold J. Tannenbaum, a First Lieutenant, was shot down and perished during the filming. Director Steven Spielberg describes Wyler's filming of Memphis Belle in the 2017 Netflix series, Five Came Back. Working on Thunderbolt! Wyler was exposed to such loud noise that he passed out. When he awoke, he found he was deaf in one ear. Partial hearing with the aid of a hearing aid eventually came back years later. Wyler returned from the War a disabled veteran. Returning from the War and unsure whether he could work again, Wyler turned to a subject that he knew well and directed a film which captured the mood of the nation as it turned to peace after the war, The Best Years of Our Lives (1946). This story of the homecoming of three veterans from World War II dramatized the problems of returning veterans in their adjustment back to civilian life. Arguably his most personal film, Best Years drew on Wyler's own experience returning home to his family after three years on the front. The Best Years of Our Lives won the Academy Award for Best Director (Wyler's second) and Academy Award for Best Picture, as well as seven other Academy Awards. In 1949 Wyler directed The Heiress, which earned Olivia de Havilland her second Oscar and garnered additional Oscars for Best Art Direction, Best Costume Design, and Best Music. The film is considered by some to be a highlight in her career, "that could strike envy even in the most versatile and successful actress," according to one critic. In 1951, Wyler produced and directed Kirk Douglas and Eleanor Parker in Detective Story, portraying a day in the lives of the various people in a detective squad. Lee Grant and Joseph Wiseman made their screen debuts in the film, which was nominated for four Academy Awards, including one for Grant. Critic Bosley Crowther lauded the film, describing it as "a brisk, absorbing film by producer-director William Wyler, with the help of a fine, responsive cast." Carrie was released in 1952 starring Jennifer Jones in the title role and Laurence Olivier as Hurstwood. Eddie Albert played Charles Drouet. Carrie received two Academy Award nominations: Costume Design (Edith Head), and Best Art Direction (Hal Pereira, Roland Anderson, Emile Kuri). Wyler was reluctant to cast Jennifer Jones, and the filming was subsequently plagued by a variety of troubles. Jones had not revealed that she was pregnant; Wyler was mourning the death of his year-old son; Olivier had a painful leg ailment, and he developed a dislike for Jones. Hollywood was reeling under the effects of McCarthyism, and the studio was afraid to distribute a film that could be attacked as immoral. Ultimately, the ending was changed and the film was cut to make it more positive in tone. During the immediate postwar period, Wyler directed a handful of critically acclaimed and influential films. Roman Holiday (1953) introduced Audrey Hepburn to American audiences in her first starring role, winning her an Academy Award for Best Actress. Wyler said of Hepburn years later, when describing truly great actresses, "In that league there's only ever been Garbo, and the other Hepburn, and maybe Bergman. It's a rare quality, but boy, do you know when you've found it." The film was an instant hit, also winning for Best Costume Design (Edith Head), and Best Writing (Dalton Trumbo). Hepburn would eventually do three movies with Wyler, who her son said was one of the most important directors in her career. Friendly Persuasion (1956) was awarded the Palme d'Or (Golden Palm) at the Cannes Film Festival. And in 1959, Wyler directed Ben-Hur, which won 11 Oscars, a feat unequaled until Titanic in 1997. He had also assisted in the production of the 1925 version. Wyler and its star, Charlton Heston, both knew what the film meant for MGM, which had massive investments in its final outcome, with the film's budget having gone from $7 million to $15 million, and the fact that MGM was already in dire financial straits. They were aware that if it failed at the box office, MGM might go bankrupt. The film, like many epics, was difficult to make. When Heston was asked which scene he enjoyed doing most, he said "I didn't enjoy any of it. It was hard work." Part of the reason for that was the financial stress placed on making the film a success. With a cast of fifteen thousand extras, a leading star, and being shot on 70mm film with stereophonic tracks, it was the most expensive film ever made at that time. The nine-minute chariot race, for example, took six months to film. Ben-Hur became a great box office success. Wyler won his third Academy Award for Best Director and Charlton Heston his first and only Academy Award as its star. Heston recalled in his autobiography that at first he had doubts about taking the role. But his agent advised him otherwise: "Don't you know that actors take parts with Wyler without even reading the damn script? I'm telling you, you have to do this picture!" Kirk Douglas had lobbied Wyler, who directed him in Detective Story in 1951, for the title role, but only after Wyler had already decided on Heston. He offered him instead the role of Messala, which Douglas rejected. Douglas then went on to star in Spartacus (1960). Streisand had already starred in the Broadway musical of Funny Girl, with seven hundred performances. And although she knew the part well, Wyler still had to mold her stage role for the screen. She naturally wanted to be involved in the film's production, often asking Wyler questions, but they got along well. "Things were ironed out when she discovered some of us knew what we were doing," kidded Wyler. I'm terribly fond of her. She was very professional, very good, a hard worker, too hard at times. She would work day and night if you would let her. She is absolutely tireless. The last film Wyler directed was The Liberation of L.B. Jones, released in 1970. Other Oscar winners were Olivia de Havilland in The Heiress (1949), Audrey Hepburn in her debut film, Roman Holiday (1953), Charlton Heston in Ben-Hur (1959), and Barbra Streisand in her debut film, Funny Girl (1968). Wyler's films garnered more awards for participating artists and actors than any other director in the history of Hollywood. He received 12 Oscar nominations for Best Director, while dozens of his collaborators and actors won Oscars or were nominated. In 1965, Wyler won the Irving G. Thalberg Memorial Award for career achievement. Eleven years later, he received the American Film Institute Life Achievement Award. In addition to his Best Picture and Best Director Oscar wins, 13 of Wyler's films earned Best Picture nominations. Other late Wyler films include The Children's Hour (1961), which was nominated for five Academy Awards. Later films included The Collector (1963), Funny Girl (1968), and his final film, The Liberation of L.B. Jones (1970). 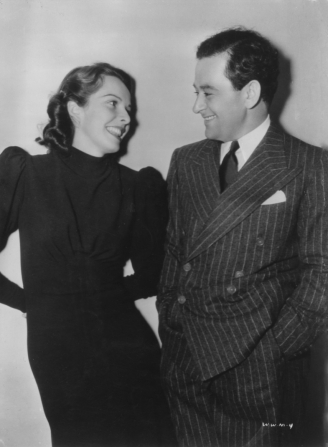 Wyler was briefly married to actress Margaret Sullavan (from November 25, 1934 – March 13, 1936) and married actress Margaret "Talli" Tallichet on October 23, 1938. The couple remained together until his death; they had five children: Catherine, Judith, William Jr., Melanie and David. Catherine said during an interview that her mother played an important part in his career, often being his "gatekeeper" and his reader of scripts presented to him. On July 24, 1981, Wyler gave an interview with his daughter, Catherine, for Directed by William Wyler, a PBS documentary about his life and career. Three days later, he died from a heart attack. He is interred at Forest Lawn Memorial Park Cemetery, near his older brother, Robert Wyler, sister-in-law, actress Cathy O'Donnell and his son, William "Billy" Wyler, Jr in Glendale, California. Wyler is the most nominated director in Academy Awards history with twelve nominations. He won the Academy Award for Best Direction on three occasions, for his direction of Ben-Hur, The Best Years of Our Lives, and Mrs. Miniver. He is tied with Frank Capra and behind John Ford, who won four Oscars in this category. He is also only director in Academy history to direct three Best Picture-winning films (the three for which he won Best Director), and directed more Best Picture nominees than anyone else (thirteen). He has the distinction of having directed more actors to Oscar-nominated performances than any other director in history: thirty-six. Out of these nominees, fourteen went on to win Oscars, also a record. He received the fourth AFI Life Achievement Award in 1976. Among those who thanked him for directing her in her debut film, was Barbra Streisand. For his contributions to the motion picture industry, on February 8, 1960, Wyler has a star on the Hollywood Walk of Fame at 1731 Vine Street. This is a list of films directed by William Wyler. * Universal's Mustang Series. Wyler made 21 two-reeler films for this series, all with a duration of 24 minutes. ** Universal's Blue Streak Series. Wyler made 6 five-reeler films for this series, all with a duration of an hour. 1940 The Letter Warner Bros.
^ a b "Wyler, William (1902-1981), American film director and producer - American National Biography". anb.org. Retrieved March 27, 2018. ^ a b c Wakeman, John, ed. World Film Directors: Vol. I, 1890–1945. New York: H.W. Wilson Co., 1987. ISBN 978-0-8242-0757-1. ^ Ina.fr, Institut National de l'Audiovisuel – (January 1, 1970). "William Wyler à propos de ses origines et de ses films". Ina.fr (in French). Retrieved May 9, 2017. ^ SonOfASpaceApe (February 21, 2014). "TCM 1936 Best Picture 1of3 Dodsworth (Intro)". Retrieved March 27, 2018 – via YouTube. ^ Movieclips Trailer Vault (October 5, 2012). 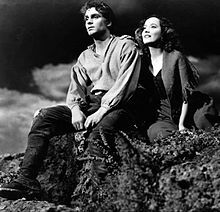 "Wuthering Heights Official Trailer #1 - David Niven Movie (1939) HD". Retrieved March 27, 2018 – via YouTube. 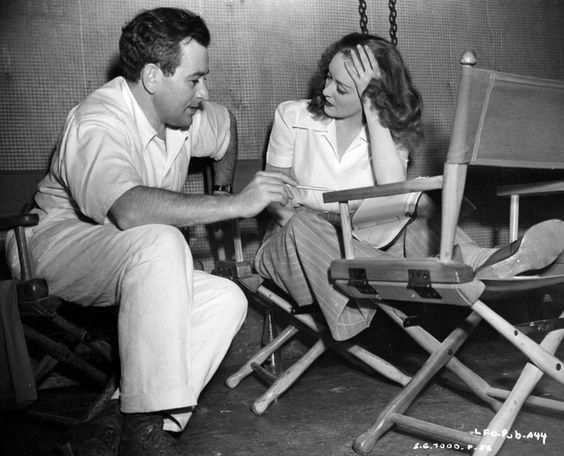 ^ "Photo of William Wyler going over a scene with Bette Davis". pinimg.com. Retrieved March 27, 2018. ^ Merv GriffinShow (July 16, 2012). "Bette Davis interview- Jezebel (Merv Griffin Show 1972)". Retrieved March 27, 2018 – via YouTube. ^ American Film Institute (April 5, 2011). "Bette Davis Accepts the AFI Life Achievement Award in 1977". Retrieved March 27, 2018 – via YouTube. 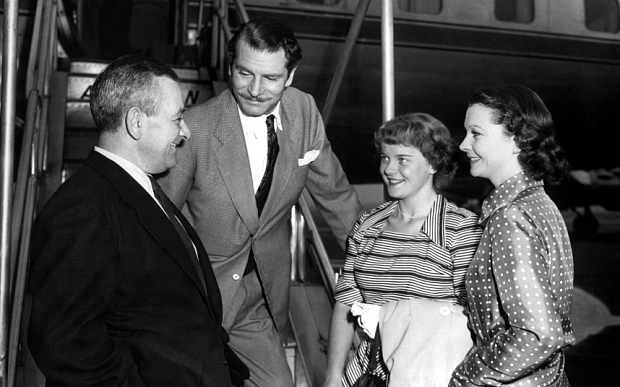 ^ "Candid photo of William Wyler with Laurence Olivier, Vivien Leigh, and their daughter Suzanne Farrington". celebritywc.com. Retrieved March 27, 2018. ^ MovieMadd111 (November 22, 2010). "[Carrie 1952] George/Carrie - Por una Cabeza". Retrieved March 27, 2018 – via YouTube. ^ Movieclips Trailer Vault (October 5, 2012). "Mrs. Miniver Official Trailer #1 - Reginald Owen Movie (1942) HD". Retrieved March 27, 2018 – via YouTube. ^ Wapshott, Nicholas. The Sphinx: Franklin Roosevelt, the Isolationists, and the Road to World War II, W.W. Norton & Co. (2015) p. 234, ISBN 978-0393088885. 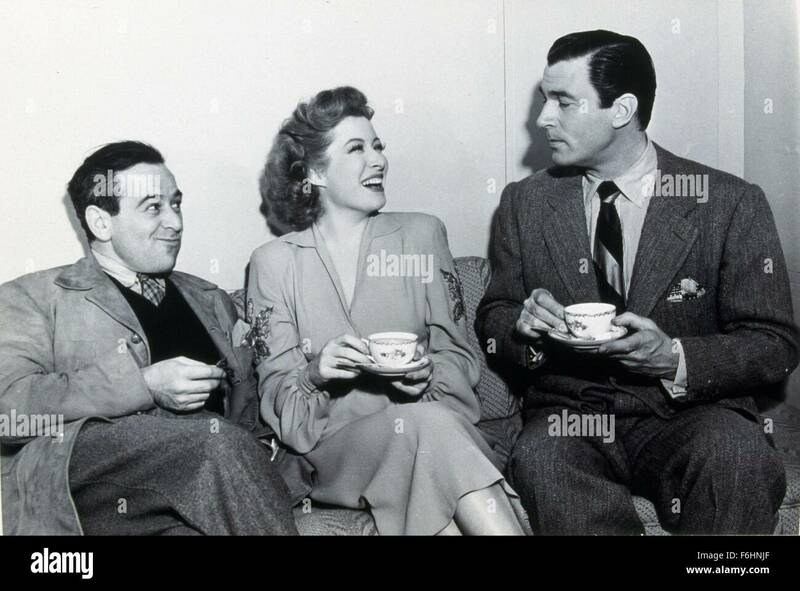 ^ "Candid photo of Wyler, Greer Garson and Walter Pidgeon taking a break". alamy.com. Retrieved March 27, 2018. ^ "The Memphis Belle: A Story of a Flying Fortress". www.plane-crazy.net. Retrieved March 27, 2018. ^ Video Detective (June 9, 2014). "The Best Years Of Our Lives Trailer 1946". Retrieved March 27, 2018 – via YouTube. ^ Hirji444 (October 16, 2008). "The Heiress - Trailer". Retrieved March 27, 2018 – via YouTube. ^ Crowther, Bosley. Detective Story. The New York Times film review, November 7, 1951. Last accessed: December 26, 2007. ^ Oscars (April 24, 2008). "Audrey Hepburn Wins Best Actress: 1954 Oscars". Retrieved March 27, 2018 – via YouTube. 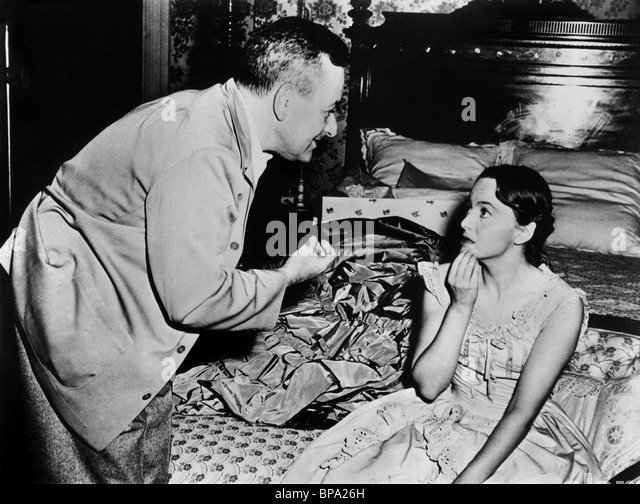 ^ "Photo of William Wyler with Audrey Hepburn". wordpress.com. Retrieved March 27, 2018. ^ Movieclips Trailer Vault (February 7, 2014). "Ben-Hur (1959) Official Blu-Ray Trailer - Charlton Heston, Jack Hawkins, Stephen Boyd Movie HD". Retrieved March 27, 2018 – via YouTube. 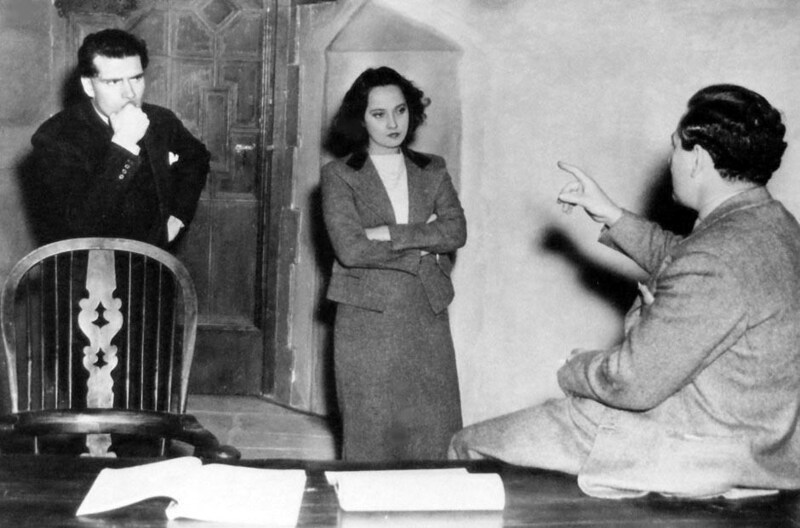 ^ "Photo of Wyler with cast, Haya Harareet seated, and producer Sam Zimbalist (right)". flashpictures.fr. Retrieved March 27, 2018. ^ cherish864407 (August 27, 2010). "Funny Girl 1968 Movie Trailer". Retrieved March 27, 2018 – via YouTube. ^ Oscars (October 26, 2010). "Katharine Hepburn and Barbra Streisand Tie for Best Actress: 1969 Oscars". Retrieved March 27, 2018 – via YouTube. 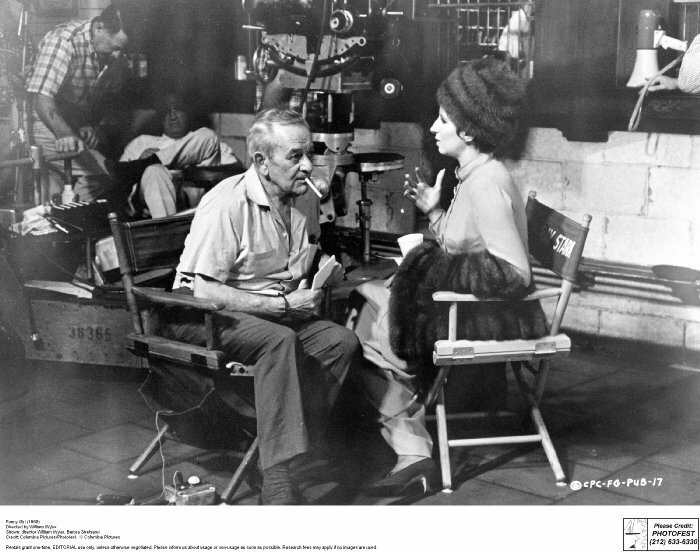 ^ "Photo of Wyler directing Streisand and Omar Sharif". gettyimages.com. Retrieved March 27, 2018. 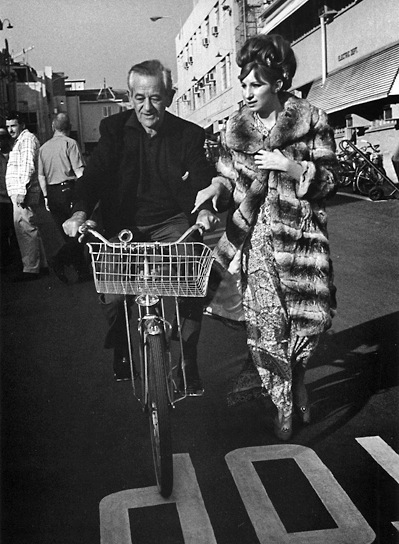 ^ "Photo of Wyler and Streisand walking on the studio backlot". bp.blogspot.com. Retrieved March 27, 2018. ^ "Photo of Wyler and Streisand sharing some laughs on the studio backlot". hollywoodreporter.com. Retrieved March 27, 2018. ^ "Photo of Wyler and Streisand discussing her role". ssl-images-amazon.com. Retrieved March 27, 2018. ^ Wyler profile at palzoo.net Retrieved November 12, 2011. 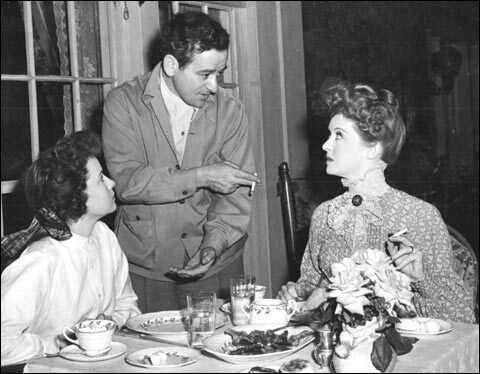 ^ Photo of William Wyler with the co-stars Audrey Hepburn and Shirley MacLaine of The Children's Hour. Joining them in the photo are Dean Martin and Frank Sinatra, who visited the set. ^ "Redirect Notice". www.google.com. Retrieved March 27, 2018. ^ "Early photo of William Wyler with wife, Margaret Tallichet". bp.blogspot.com. Retrieved March 27, 2018. ^ "Catherine Wyler Talks the Oscars and Growing Up with Hollywood Royalty", 6 min. ^ "William Wyler (1902 - 1981) - Find A Grave Memorial". www.findagrave.com. Retrieved June 27, 2016. ^ "Robert Wyler (1900 - 1971) - Find A Grave Memorial". www.findagrave.com. Retrieved June 27, 2016. ^ "Cathy O'Donnell (1923 - 1970) - Find A Grave Memorial". www.findagrave.com. Retrieved June 27, 2016. ^ "William Wyler, Jr (1946 - 1949) - Find A Grave Memorial". www.findagrave.com. Retrieved June 27, 2016. ^ "William Wyler: Oscar Top Actors Director". altfg.com. Retrieved March 27, 2018. ^ "William Wyler | Hollywood Walk of Fame". www.walkoffame.com. Retrieved June 12, 2016. ^ "William Wyler". latimes.com. Retrieved May 1, 2016. 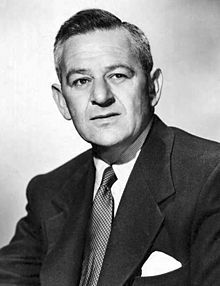 Wikimedia Commons has media related to William Wyler.